Once upon a mailbox, I received credit card offers. Tons of them! When I returned home from a very long work stint, I was gifted a pile of papers and had to use my precious youth to sort through all of the junk. 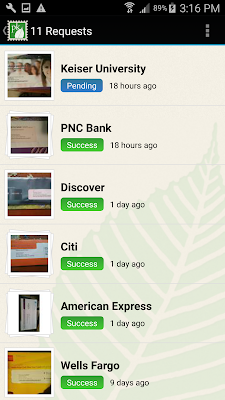 So far, I've found FOUR ways to get rid of credit card offers and other mail. 1. OptOutPreScreen - You can take a chance with https://www.optoutprescreen.com/ and give them your social security number. I personally have not and will not do this. I haven't had anyone that's resourceful enough to confirm that this works, but it's the government. Trust them? Update 11/23/2017: I've called multiple credit card companies that refer me to this option. I still have trust issues. 2. PaperKarma - a useful app that sends unsubscribe requests on your behalf. Digging through the internet, I've heard good reviews. Whether it's worked yet or not for me, I'll have to update on a later day. Supposedly it takes about 60 - 90 days to fully unsubscribe. The biggest harassers for me are PNC and Wells Fargo. I'll add a note if they go away in the next 2 - 3 months since I just started pushing back. PaperKarma's interface seems simple. You literally scan your mail, select the correct company, and click unsubscribe. That's it! What's one more app on your phone? Anyways, check out the screenshots of my personal phone below to make sure you download the correct app. 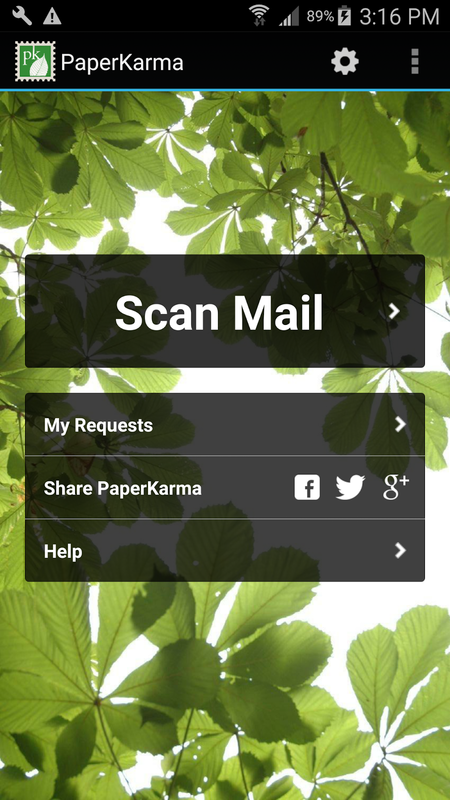 Update 11/23/2017: PaperKarma has ended their free app. You now have to purchase a subscription, and by my experience, not sure if it completely works. The reviews have said this as well. If the updated application has worked, please let me know below! 3. Mail them back - unconfirmed if this actually works, but each credit card offer comes with a second envelope to mail in your personal information. I read online, because everything on the internet is true, to write "unsubscribe me" and mail them back. Their postage will be paid by the sender. See the "No Postage Necessary" on the top right hand corner? You don't pay a dime to return them a piece of paper. 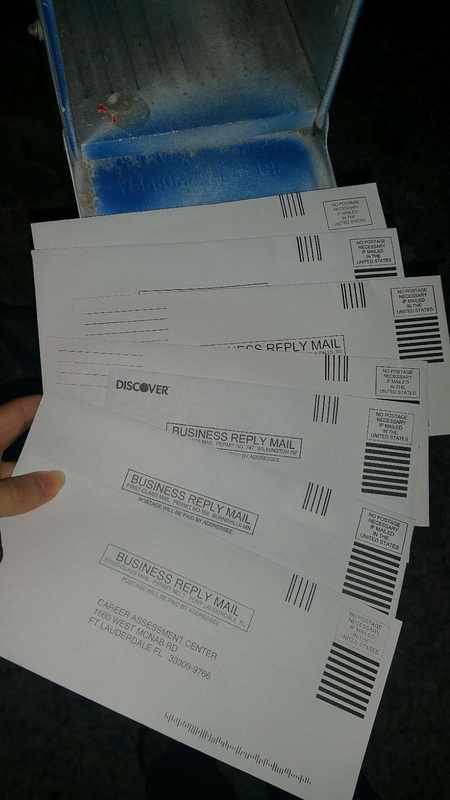 Update 11/23/2017: Not sure if they got the memo, but I mailed another 10 or so. It was on their dime! Another tip, mail them back advertisements for your business. At least one person reads them. 4. Call and request to be unsubscribed - I loathe talking to people from these companies on the phone. Therefore, this is also unconfirmed. Maybe one day, I'll strike up enough patience to ask. Update 11/23/2017: This has been the best option so far. Grab the newest credit card offer. One that's still active before the expiration date on the flyer. There is a reservation code on the flyer. Read this to the company. It's either this, or give them your social which isn't an option. I made phone calls in October. I've received significantly less mail from the people I directly contacted! 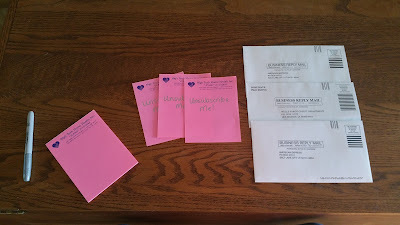 This is all just an experiment to reduce the paper waste coming to my mailbox. Hopefully, PaperKarma will be enough to place a very long pause on the offers. I'll update as soon as I start seeing progress! If you have an interesting way to get rid of unwanted credit card offers, share it below!